For your average Filipino, the wallet serves as the only thing that protects his hard-earned money from different elements. Regardless of whether your wallet is a knockoff from one of the many stalls in Divisoria or a genuine leather engraved with emblems or animal prints, what matters more is you know how to use it whenever you head out to brave through the struggles of everyday life. 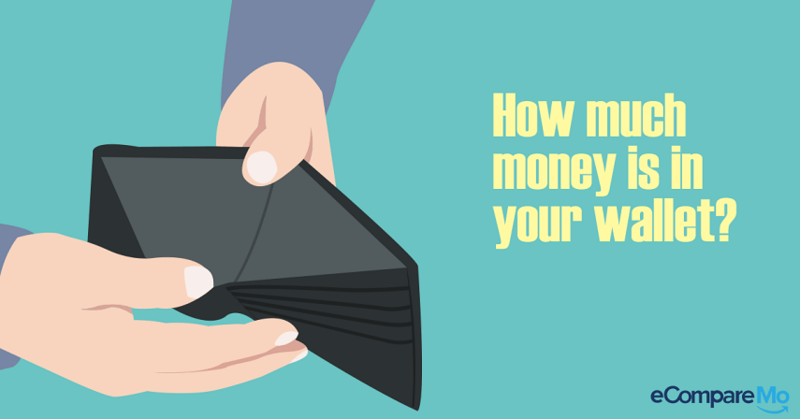 While you may know how to use your wallet as an item that holds your wallet and other personal belongings, do you know how much the money inside your wallet is—without peeking? If your answer is yes, then you can be confident that you can track your spending. However, the problem arises when you are totally oblivious to the contents of your wallet, and it can cause you financial troubles in the future. When you think about it, you can get on by every day without the need to know the contents of your wallet and you’ll be just fine. Little do you know however that the less you know about your finances, the more you have the tendency to overspend—and it can lead to more serious financial problems like debt. For instance, you’re on your way to work and since you don’t have the knack for checking your money, you didn’t know that you were only carrying Php200 that time. Over lunch, you decided to buy a set meal at Php100. What if it turns out you have insufficient cash on hand for your fare or you suddenly have to buy medicine because of an unforeseen circumstance? Are you going to withdraw from your account or are you going to borrow money from someone just to get by? While these things may seem harmless, it can cause a domino effect in your finances and the results can be tremendous. When your budget enters a slippery slope because of a single misstep, it can lead to a downward spiral in two ways. First, it can create a disruption on your monthly budget as it forces you to tap your resources reserved for other days. While most people can simply offset their budget and do not let a simple spending mistake affect their entire money for the month, others are definitely prone to repeat the same mistakes over and over again to the point that it starts to put them in a tight corner. Next thing they know, they’re neck-deep in debt. 1. Withdraw money only if needed. When you carry your ATM card with you at all times, it is just as tempting to just go to the machine and get some money. However, only use the ATM when you need to make emergency purchases and you’re a little light on cash. 2. Do not use your credit card to circumvent this. You may think this whole remembering the contents of your wallet exercise is only applicable to cash—and credit cards are exempted to the rule. Unfortunately, you have to pay it with your money by the end of the month and it can greatly pull down your monthly budget because you just can’t keep your credit card in your wallet. 3. Learn how to work around your limited budget. If you think your everyday money isn’t sufficient enough to help you last a day, maybe it’s about time you reexamine your daily expenses and see if you can trim some of them down. Doing this will not just increase your everyday survival but help you save more money. The contents of your money are your lifeline in your everyday life. By knowing how much you can only spend—and limiting your expenses to your current money—you will not have problems surviving with your limited budget.